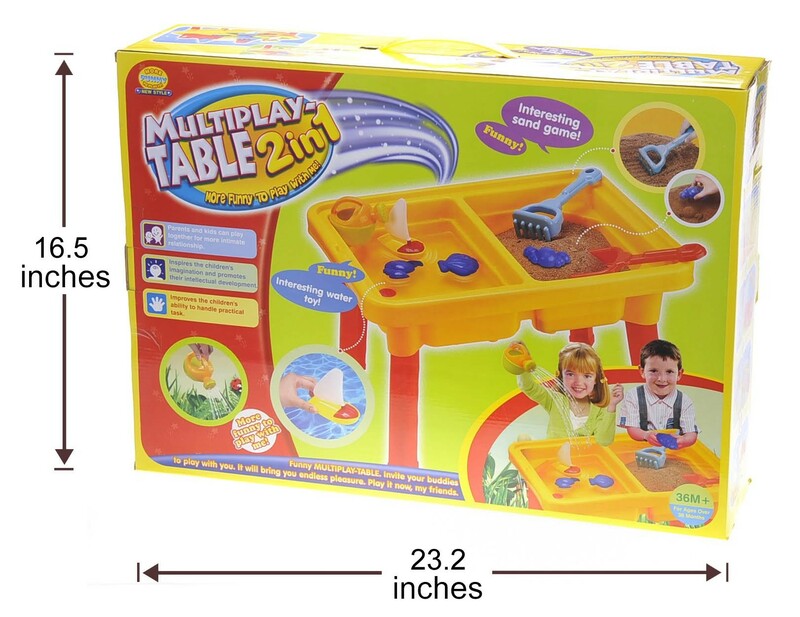 Master Box Dimension : 24" X 18" X 24"
Durable plastic dual-use table for sand and water play. 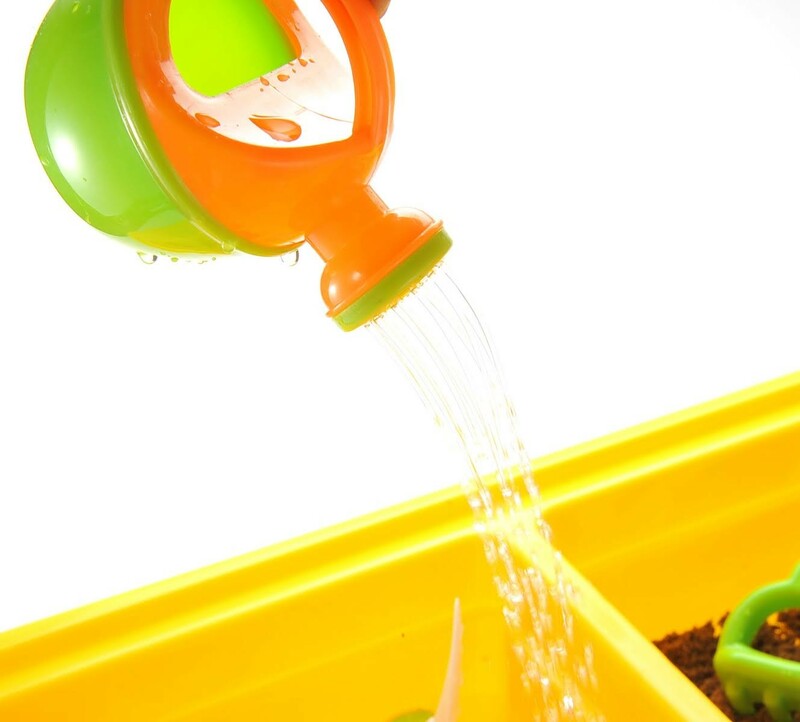 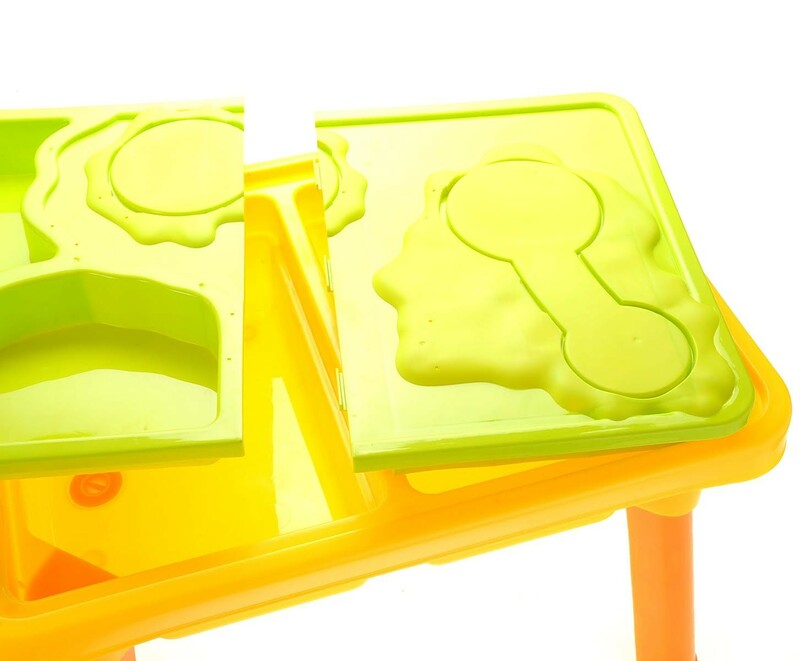 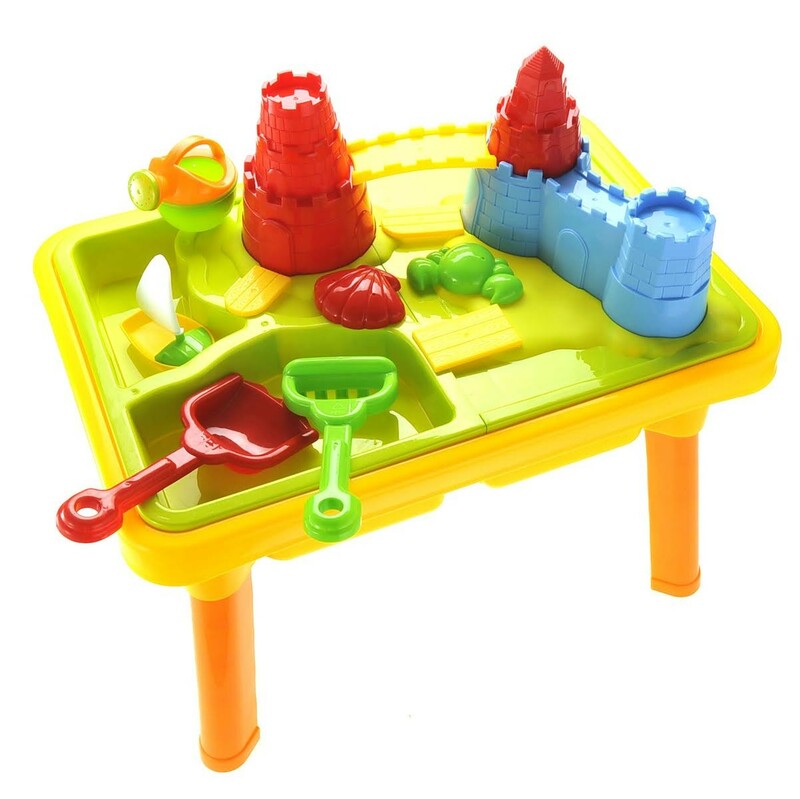 A colorful, easy to assemble sand & water play table with dual sink design. 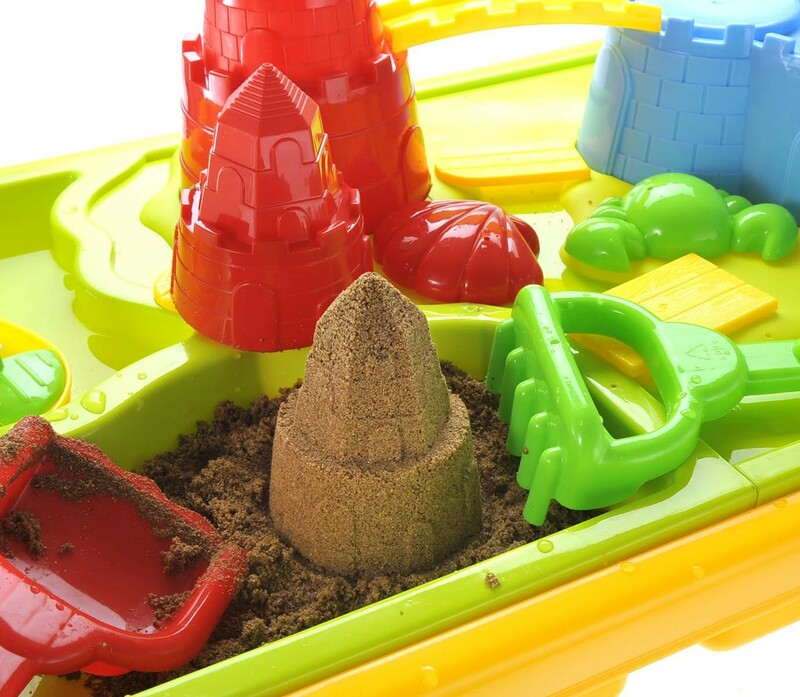 Kids can splash water, sail boats, play with the mini watering can, make sand castles, create shape imprints, dig, rake ... possibilities are only limited by imagination! 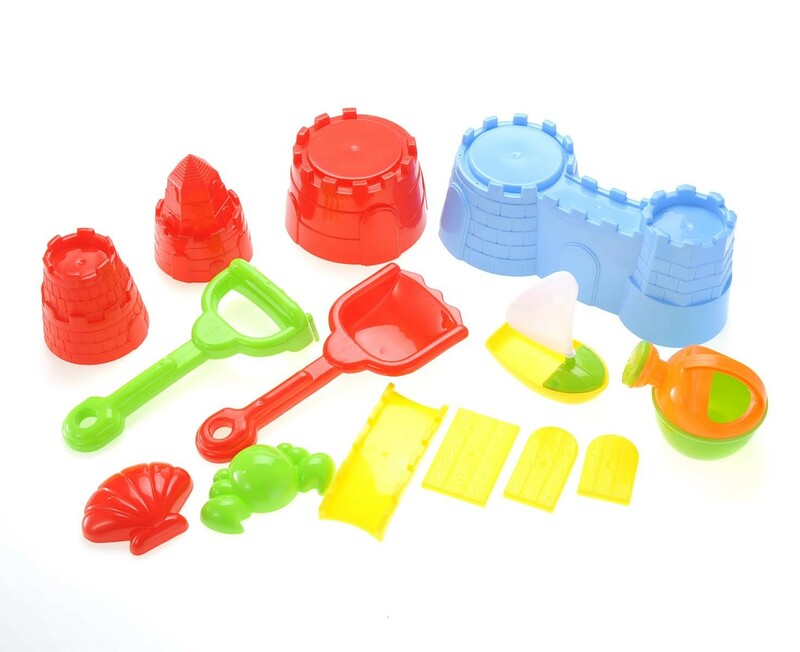 they can simply slot castles into the imprints provided and decorate to their hearts content. 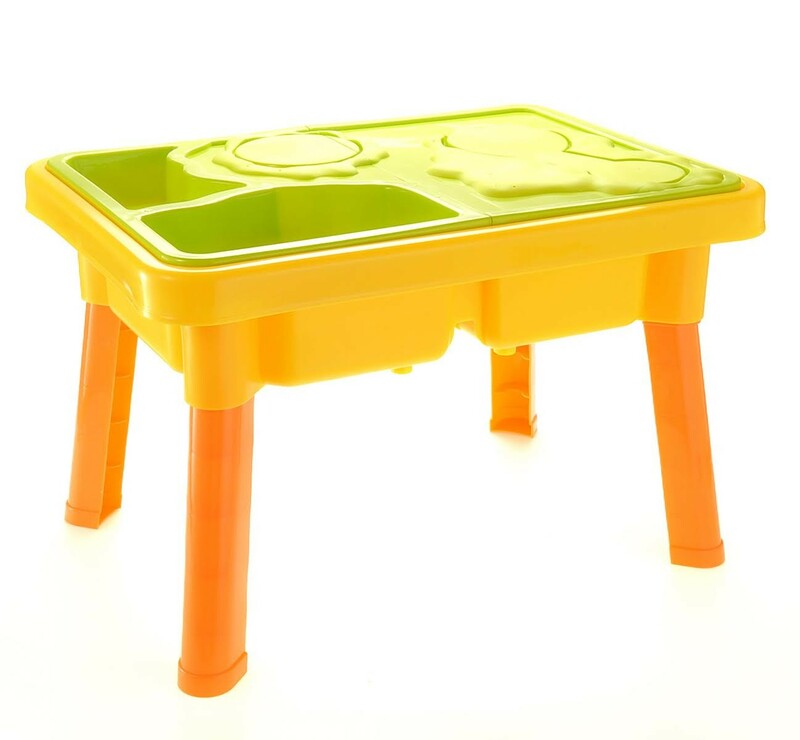 Assembled Product Size: 23"L x 17"W x 15"H.